Libra: September 23rd to October 22nd. A lover of justice, truth and beauty - in short, perfectly balanced! 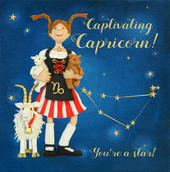 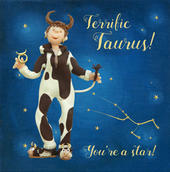 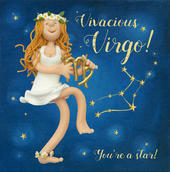 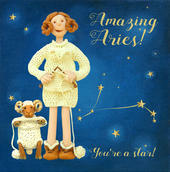 A zodiac greeting card from Holy Mackerel's Written In The Stars range featuring Erica Sturla's signature polymer clay artwork. 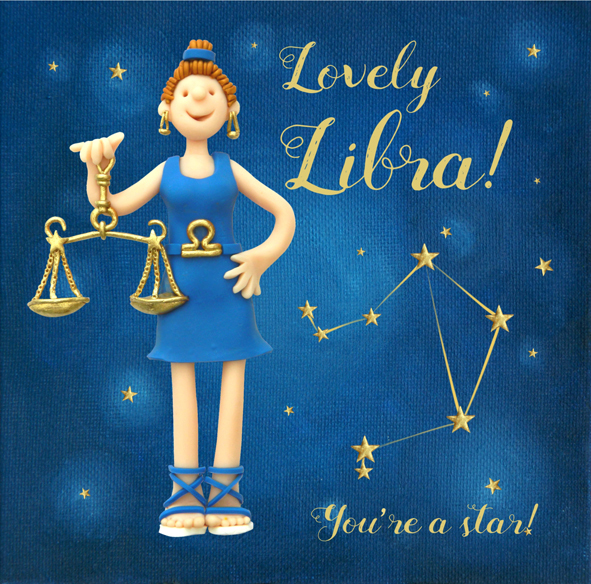 A fun, bright and contemporary card printed and published in the UK from card sourced from sustainable forests it comes cello wrapped and complete with a gold envelope.